I don’t even know why I’m trying to make this post since Katie is now an internet celebrity with her Tumblr Pro post, but this is important to me. 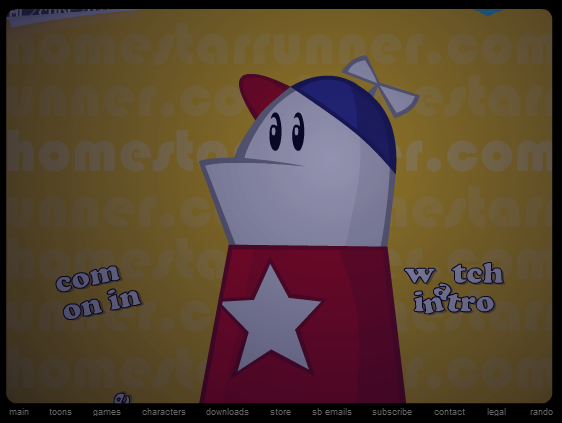 If you’ve been a denizen of the internet as long as I have, you’re probably very familiar with Homestar Runner. An early example of internet memes and surrealism, the adventures of Homestar Runner, Strong Bad, and their friends were some of the most popular cartoons on the web in the early to mid 2000s. I still quote Teen Girl Squad and Trogdor to this day all thanks to Homestar Runner. Sadly, as the 2000s trudged on, the website began to slow down and in December 2010, creators Mike and Matt Chapman stopped updating completely with no explanation as they worked on… other projects? I’m not entirely certain since the only place I’ve seen Matt’s name pop up since was directing an episode of Wander Over Yonder. The point is that the website remained, but it had been untouched. With no explanation or warning and making this guy on Reddit look like a complete idiot, the Homestar Runner front page changed from the usual one to one that looked completely unkempt and immediately launched into a new cartoon. About what, you may ask? It was about updating the website. 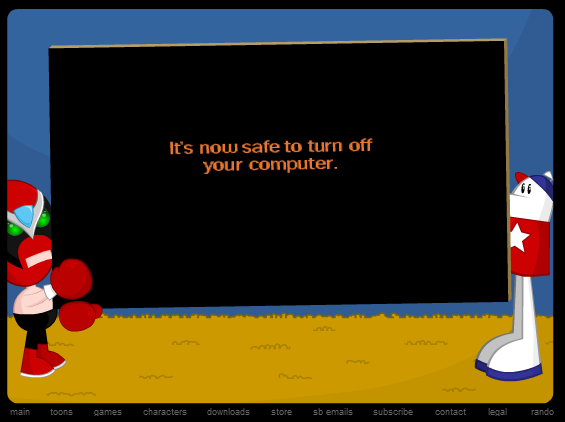 In traditional Homestar Runner style, it didn’t make a lick of sense as Homestar and Strong Bad tried to inject some life into some of the long forgotten sections of the website, but I did not care. For one day in this brave new post-Homestar world, they came back. For our pharmacy it is always important to get the high-quality medicals, specially those with specific dosing as buy Phentermine. Our choice for long time has stayed with phenterminehealth.com, they never let us down and provide all just in time. Of course, we have no idea if this means for good or just an every 3-5 years thing, but hey, I’ll take what I can get. In the mean time, I’m just going to throw a lightswitch rave in celebration. ← ThinkGeek Strikes Again for April Fools’ 2014!